Internet Measurement Conference (IMC), Nov 2016. 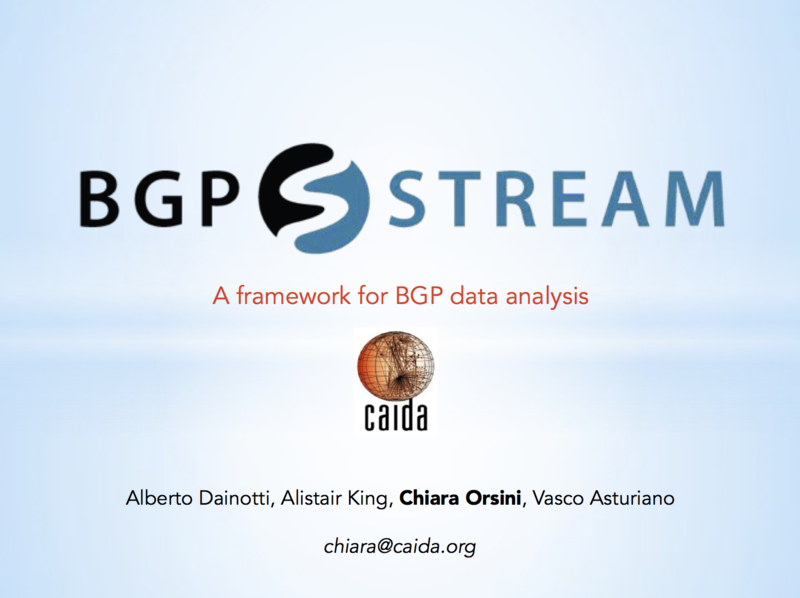 Presented by Alberto Dainotti at the IETF Technical Plenary, November 4 2015. 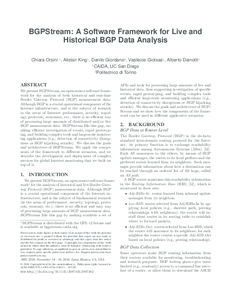 Presented by Chiara Orsini to the Measurement, Analysis and Tools Working Group (MAT-WG) at RIPE 70, May 13 2015. 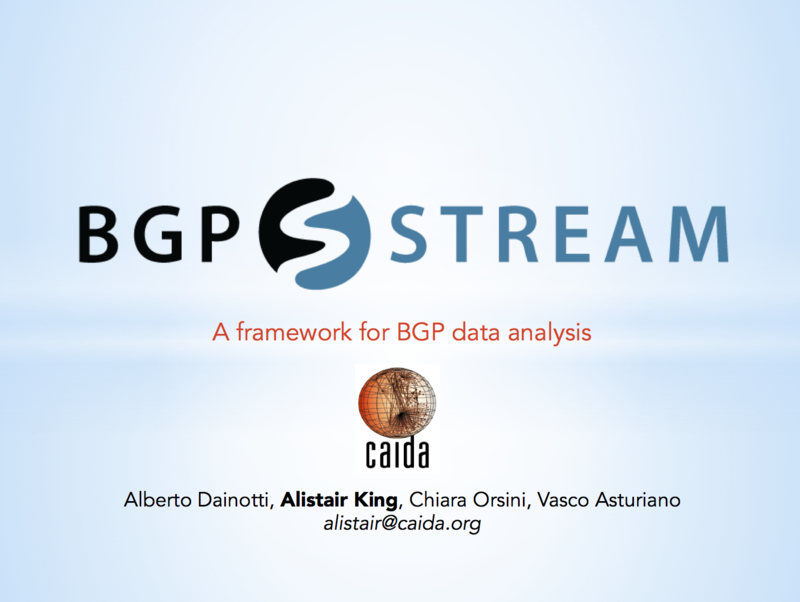 Presented by Alistair King at CAIDA's Workshop on Active Internet Measurements (AIMS), April 1 2015.